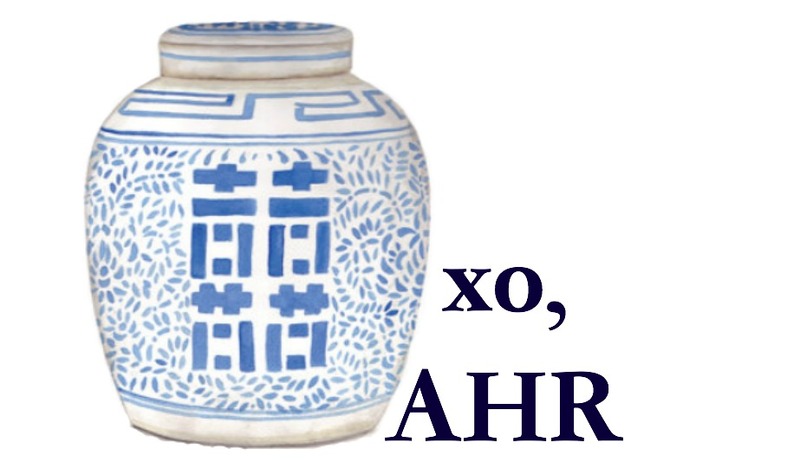 I have a love for lamps, especially those by Ralph Lauren. We hardly ever use the overhead lights in our home, except in the kitchen and dining room. But in the living room, I choose lamp lighting over the overhead lights any day. I love the warm and welcoming aspect that a lamp can bring to a space. It is like the cherry on top. I believe that a lamp should be both beautiful and functional. I don't like to just let lamps sit and never turn them on. The light they give off makes a room feel like a place I want to stay. Almost all of the lamps in Our Magnolia Home are Ralph Lauren. But there is the one lamp that I have never been able to get my hands on. This lamp has popped up an Home Goods, Marshalls and TJ Maxx all over the country, but I have yet to be lucky enough to see it in one of the stores I frequent. 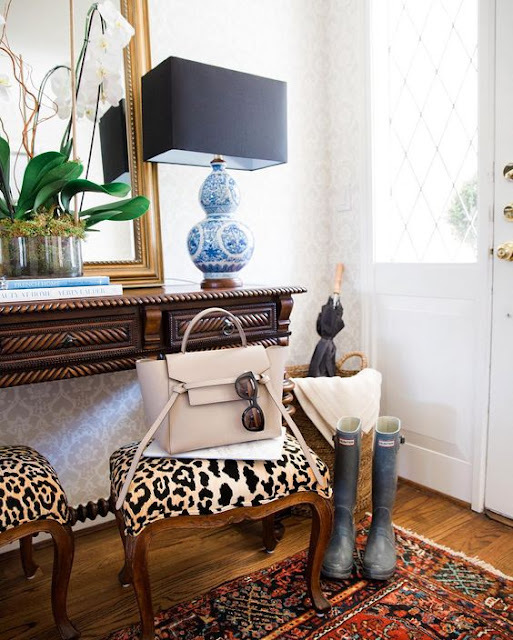 I love the updated shade that Caroline Knapp added to this lamp. 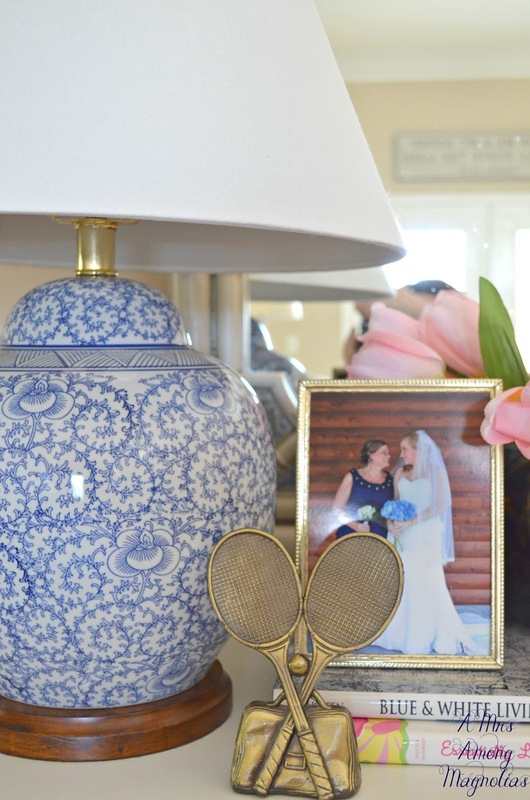 Black is not a color you will find too much of in our home, but I love it used with blue and white. I've often though about where I would put a pair of these lamps if I could ever find them. Our master bedroom, my office and the dining room have all come to mind. 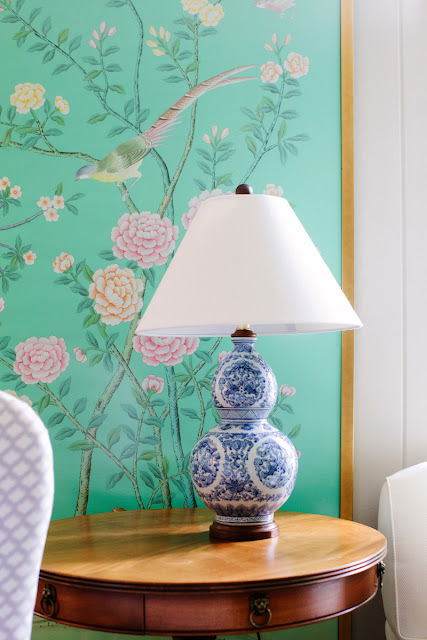 The pattern mixing between the lamp and the wallpaper is stunning! Jessie Short opened up more of her home here. If you haven't seen it, you must stop over and see it. 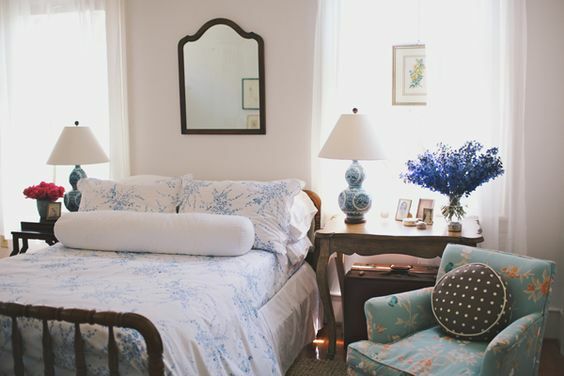 Oodles of blue and white mixed with classic vintage pieces. I just want to move into her home. If y'all see this lamp or a pair of these lamps somewhere, please let me know!